Amy and Micheala are Team Red! 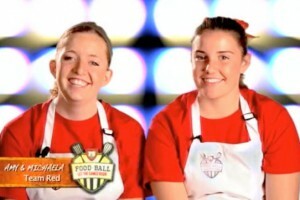 Competition is second nature to these two softball playing chefs who want to win big in the Food ★ Ball Kitchen! 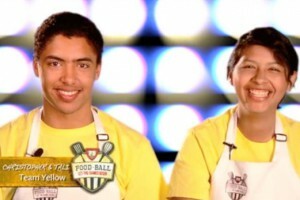 Tally and Christopher are Team Yellow! She’s a role model at home and he’s a role model in the pool, together they plan to stay cool and take home the big money! Trevor and Jennifer are Team Red! Jennifer breaks out her baking skills and Josh might just break out in kitchen parkour: unpredictable sums up their game plan! Albert and Brixton are Team Red! 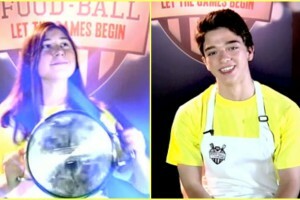 They’ve got style and moves, but do they have what it takes to win in the Food ★ Ball Kitchen? 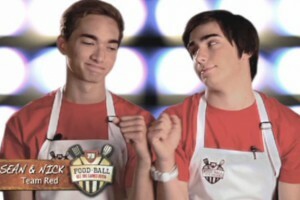 Sean and Nick are Team Red! 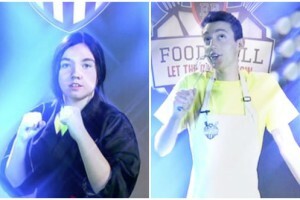 Hockey and Soccer are second nature to these guys, and cooking is on the list of things to conquer! 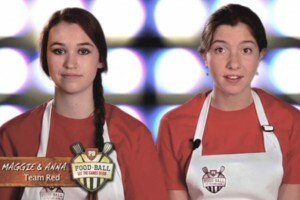 Maggie and Anna are Team Red! 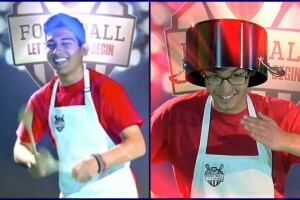 Skilled performers on stage and at the keyboard, these two chefs are ready to shine in the Food ★ Ball Kitchen!